Today, Jack Smith and Kendra Gustafson join us to talk about four keys to prepare for an overseas missions trip with students. Lay a foundation for their life as the Gospel being the center of everything. This starts in the states with a proper understanding of Jesus. Send a team, let them get to know each other before they go. Share with them about how their contribution helps the global body of Christ and make disciples. Are they abiding in Christ? Are they growing in maturity? Would you write out what you are doing to prepare your students for missions trips and think about what you could do better? 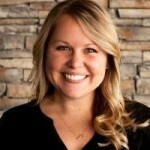 Kendra is on staff with The Salt Company, the college ministry of Cornerstone Church in Ames, Iowa. She leads in the area of identifying and equipping student leaders.